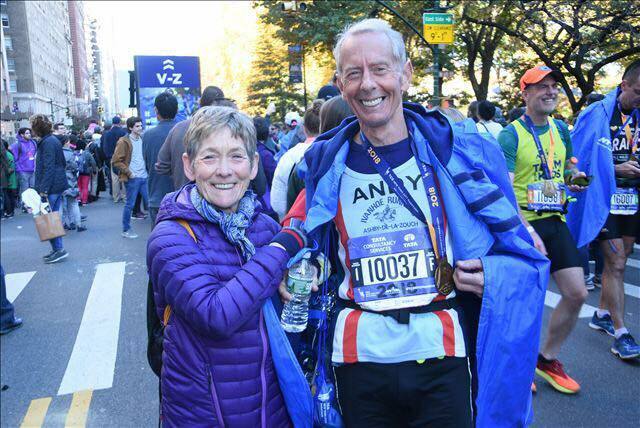 Congratulations go to Andy Jeyes, who after a terrific run at the New York Marathon won the men's Vet70 category in an incredible time of 3:25:54, 23 minutes in front of the 2nd place V70. Jeyes has had an incredible season since entering a new age category along with wife Sally, including successes in Eire over the summer and earlier in the year at the Masters in New Zealand, and continues to show great form. Jeyes finished ahead of Andy Lindley, who arrived at the finish line in 3:27:51, beating his Chicago Marathon time from 4 weeks ago. Mark Harriot also had a great run to finish in 3:17:22.